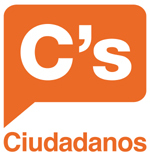 Ciudadanos, or Partido de la Ciudadanía, also known in Catalonia as Ciutadans, is a secular and constitutionalist centre-right party formed in 2006, offering a mix of social democrat and liberal policy positions. It has been a member of the Alliance of Liberals and Democrats for Europe Group (ALDE) in the European Parliament since 2014. In Spain’s 26th June 2016 general election, the party polled 390,759 fewer votes than in the December 2015 general election, winning 3.124 million votes for 13.05 percent of the total vote nationwide, giving it eight fewer seats in the Congress of Deputies, where with 32 current seats it remains the fourth largest party in Spain’s lower house of parliament. Ciutadans-Ciudadanos party emerged in 2005 from a civic-cultural organisation launched in Barcelona and known as Ciutadans de Catalunya (Citizens of Catalonia), which was formed by a group of Catalan intellectuals — university professors, writers, actors, journalists, attorneys and economists — who were opposed to Catalan nationalism and saw the need for a platform to represent the ideas of those Catalans opposed to independence from Spain. After a year of organizing and formulating the organisation’s platform, several of the founders moved toward formation of Ciutadans-Ciudadanos as a political party, holding a first constituent congress in July 2006 at which a 26-year-old Catalan lawyer, Albert Rivera, was elected President of the party. In its first electoral outing in November 2006 Catalan regional elections, the party won 89,840 votes and three seats in the Catalan Parlament. After presenting candidates over the next six years in successive municipal, regional and European parliamentary elections, Ciutadans-Ciudadanos had increased its vote share to 7.58 percent of the total in the 2012 Catalan regional elections, winning 274,925 votes and nine regional parliamentary seats; in the 2014 European parliamentary elections, the party was the eighth most-voted party across Spain, winning a total of 497,146 votes and giving it two seats in the European parliament. Shedding its strictly Catalan identity, the party rapidly expanded nationwide during 2014-15 through the agglomeration of 14 smaller regional and municipal political parties in 2014 and an additional 16 smaller parties the following year. In its first regional election outings beyond Catalonia, in March 2015 Ciudadanos won a surprising 368,988 votes for 9.28 percent of total ballots cast in regional elections in Andalucia, followed two months later by winning 1.26 million votes in May 2015 regional elections in 13 autonomous communities and the north African enclaves of Ceuta and Melilla. In September 2016, Ciutadans-Ciudadanos again competed in Catalan elections, running 26-year-old lawyer Inés Arrimadas at the top of the regional ticket, winning 734,910 votes for 17.93 percent of the vote total, giving it 25 seats and making it the leading opposition party in the Catalan Parlament. Three months later, in Spain’s general election of Dec. 2015, with party President Albert Rivera leading its slate of candidates, Ciudadanos won 3.5 million votes (13.93 percent of total votes cast), making it the fourth-largest party with 40 seats in Spain’s lower house of parliament, the Congress of Deputies.